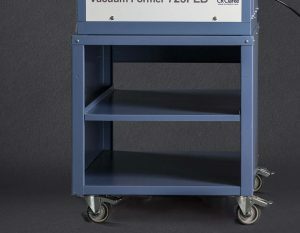 Our vacuum formers have been developed for high performance, ease of use and low maintenance. All machines are fitted with a -0.83 bar vacuum pump, which also provides a blow release to assist in the removal of the forming. Ceramic heater systems are used for fast and even heating. Heater hoods and platens run on chrome plated slide bars with nylon bushes for smooth operation. Machines are fitted with a safety interlock to prevent damage to the heaters when using a tall mould. The one-piece moulded silicone top seal is heat resistant for long service, while the platen seal simply lifts out for ease of maintenance. 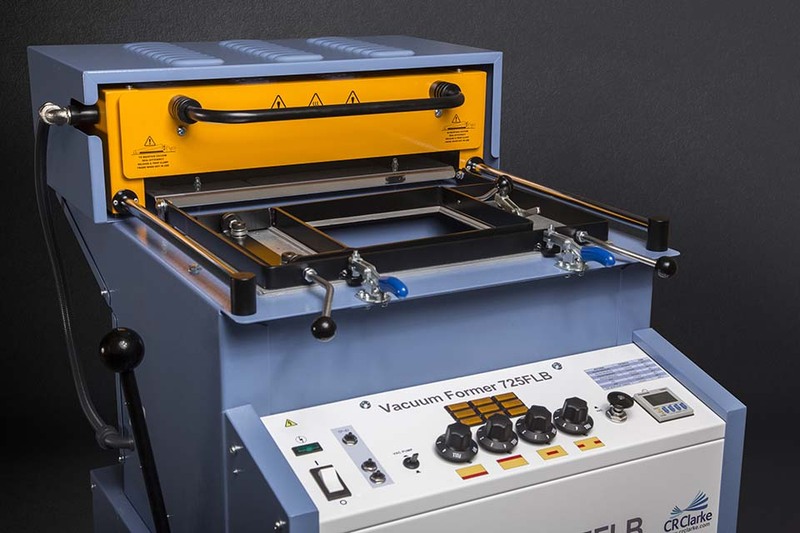 The 725FLB will produce professional, quality and high definition vacuum formings on a small/medium scale as required by model makers, development engineers and students quickly, efficiently and consistently. The machine embodies design features, manufacturing techniques and proprietary component specifications unique to our equipment. 725R. Reducing Plate to accept half the standard sheet size, 254 x 228mm. 725S. Stand with lockable castors and storage shelf.